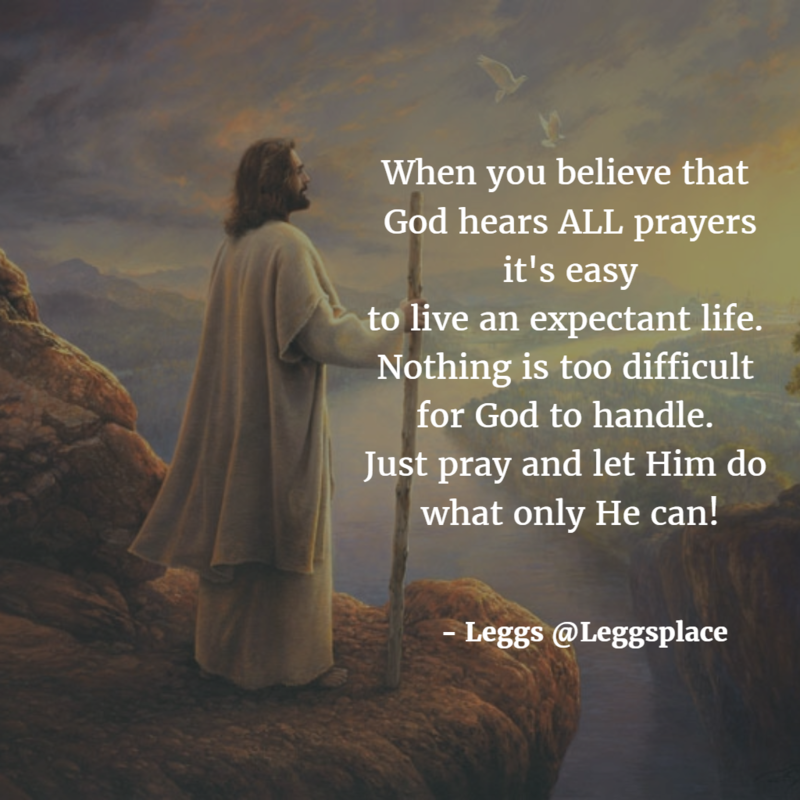 When you believe that God hears ALL prayers it’s easy to live an expectant life. Nothing is too difficult for God to handle. Just pray and let Him do what only He can!